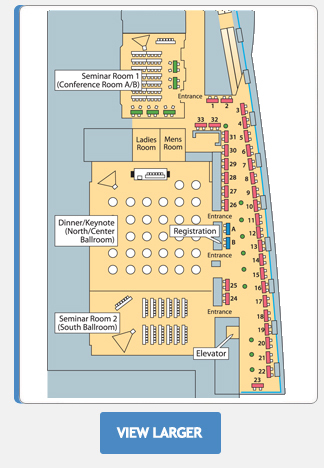 Conference: 12:30 p.m. • Supplier Reception: 5:00 p.m. • Dinner 6:45 p.m. The New England Railroad Club invites members, industry professionals, students, and individuals interested in a career in the railroad industry to join us at the DCU Center in Worcester, Massachusetts, on Thursday, March 21, 2019. The Rail Tech Conference is both a technology driven forum and a professional development conference exploring high-tech solutions to issues relevant to the rail industry in New England. The conference will provide participants – industry professionals from railroads, consulting companies, and suppliers, as well as those looking to start a career in transportation – with insight as to how the rail industry is seeking out and employing a wider range of tech skills in its daily operations. The application of new technologies, coupled with a skilled workforce that can both utilize and maintain them, is transforming the industry, allowing it to be faster, safer, and more efficient when responding to the challenges of today’s marketplace. College Students and other Professionals interested in a career in the railroad industry. Learn about the field and the jobs within, and network with company representatives from all facets of the industry. Active Industry Professionals from area railroads, state departments of transportation, consulting companies, and suppliers. Learn of new best practices and technologies in our shared field of employment that can be applied to your current organization. $250- Includes table and skirting, electrical, chairs, and 2 conference only tickets. Click on a tab below to register, reserve a booth space, become a sponsor, or to find out more about the event. J. Mikulsky Railway Supply Co., Inc.